Wishing you all a bright and prosperous 2013 and many a great book along the way. And to you, Cat - we're just winding down to a wet, chilly New Year's Eve here. 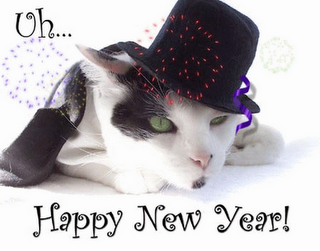 I hope the New Year brings us all good things (and many bookish ones)!